President Buhari with former President Obasanjo at the Presidential Villa in Abuja on February 22, 2018. Special Adviser to the President on Media and Publicity, Mr Femi Adesina, reacted in a telephone interview with Channels Television on Monday, hours after Obasanjo made the allegation. The former president had rated the present administration as ineffective and accused President Buhari of having a “poor understanding” of the dynamics of internal politics. He had also asked the All Progressives Congress (APC) led government to stop complaining about the challenges it met on the ground. “What we have now is failure. Never you reinforce failure, let failure be failure… Those of you who are in business, your business could have been better today if we have a competent and effective and performing government,” Obasanjo said, two months after he first criticised the government. In his reaction, Adesina believes the former president has not said anything new and President Buhari’s administration has taken it upon itself not to join issues with the former leader. He, however, said the statement issued by the Minister of Information and Culture, Mr Lai Mohammed, in response to the earlier criticism by former President Obasanjo had already addressed the issues raised. 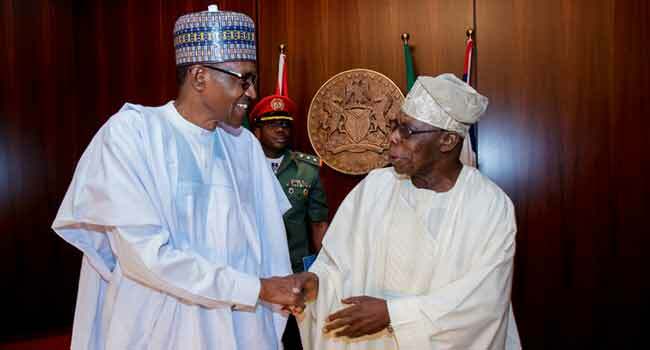 The presidential aide maintained that the APC led government would keep making reference to the failures of the past administration, although they do not see it as complaining about the challenges of the country as highlighted by Obasanjo. On the management of the economy, he noted that Nigeria now has more savings and accused the past administration of running the nation badly, despite the benefit of the price of crude under it. Adesina said President Buhari’s government has made considerable efforts in improving the economy and infrastructure in the country. On January 23, 2018, former President Obasanjo had issued a 13-page statement, criticising President Buhari’s performance and calling for a new movement to salvage the country from its challenges. He had also warned the President against seeking re-election, alleging that the present government has failed in one of the areas it pitched as its ‘key point of action’ when it assumed office – the anti-corruption fight.